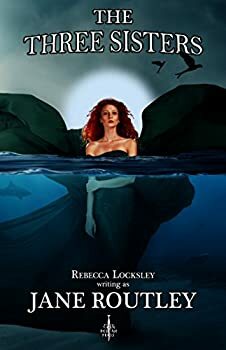 Rebecca Locksley is and Australian author who also writes under the pseudonym Jane Routley. Here’s her website. I’d been meaning to read The Three Sisters for a long time. The cover art intrigued me. I remember seeing it in the bookstore, thinking “But there are only two sisters in the picture!” and then finally noticing the third, ghostly woman in the pool. I wanted to know what these sisters’ story was. Sadly, I don’t think I’ll ever know. The sisters, Elena, Yanimena, and Marigoth, are members of a race called the Tari. The Tari are magically gifted, drop-dead gorgeous, and feared for their power and beauty. Their religion is based around the “life spirit.” Tari are more in tune with the life spirit than people of other races. They’re so in tune with the life spirit that if a Tari kills someone, he or she suffers death throes in sympathy with the victim.